Being tasked with training the people who will provide crucial medical care to ill and injured patients is an important job. Your students will go on to tackle jobs that have the highest possible stakes—their decisions will literally be a matter of life or death in many instances. Any way you can find to effectively ensure that your students learn the knowledge and skills they need to go out into the world, ready to do good work, is worth taking advantage of. The most important part of accomplishing that is, of course, the quality of instructor knowledge and teaching methods, but you can give students tools that make their own skills go further. One such tool is improved assessment data. 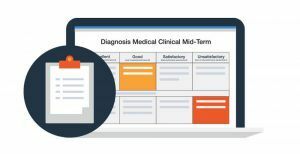 Assessments have always been one of the best ways for health sciences educators to gauge how their students are doing and tailor their instruction and feedback based on each student’s needs—but clear, helpful assessment data is easier to collect and track now with exam software like ExamSoft. That’s all well and good for objective assessments like written exams, but a big part of seeing how well your students are learning in any health professions education program comes from clinical evaluations. 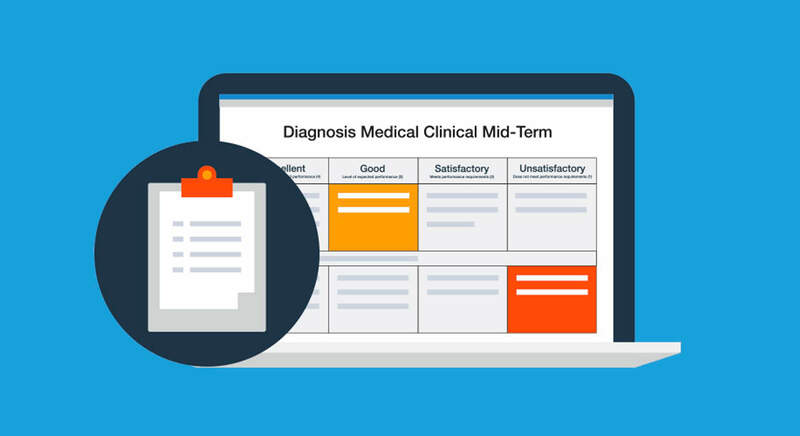 With ExamSoft’s rubrics, you can now collect the same kind of assessment data that ExamSoft made easy for objective assessments during subjective assessments, such as clinicals. You have the specific information you need to provide better feedback to your students at the moment it matters most. You have a more efficient means of spotting which students need help and in what specific ways. You can collect ongoing insights into how to improve general curriculum and the clinicals you provide in particular. Rubrics make it relatively easy for you to collect both assessment data that’s specific to what you need to measure for your clinicals and data based on the same categories and criteria you use for your objective assessments. With the latter, you’re able to see how each student’s performance in specific knowledge areas and competencies compares on different types of assignments throughout the semester, making it easy to see the progression of the students’ work. In other words, if a student has excelled in recognizing the symptoms of a particular disorder on the written tests but struggles with it during an OSCE, you know the issue has to do with context more than with a lack of knowledge. That helps you steer the student toward the type of assignments that will help improve his or her ability to ask patients the right questions in the moment for a proper diagnosis, rather than focusing on studying up on symptoms. ExamSoft’s Rubrics tool works by letting professors clearly lay out the criteria they want to grade on in advance. The notes on what to look for during the clinical are on the screen as professors are grading the OSCE, so there’s a constant reminder of what to pay attention to. Professors can assign how much different criteria are worth in advance so the data is still generated automatically, as it is with objective assessments. They can mark how well each student does in each category they’ve established during the OSCE, make their own notes as they go, and have results to release to the students and assessment data to view themselves right after the OSCE ends. Using rubrics for clinicals simply takes something you’ve always done and makes it more efficient and easier for everyone involved. With many health sciences programs already undertaking iPad initiatives, professors can easily take the rubric with them throughout the clinical and record everything they need to quickly, in the moment, to have a clear grade and assessment data afterward.